Find a teacher who is really committed to teaching. Who spends a good bit of summer “vacation” coming up with new ways to inspire her students. Who has been nationally certified to be among the cream of the crop in reading. Find out how you can support her efforts. Sure, you may need a bit more info. That’s why the post doesn’t stop with just giving you the three easy steps — I’m going to give you details on the first two steps. 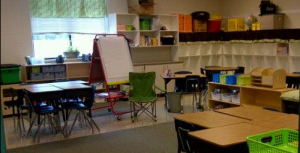 Heck, I’m giving you two options on how to support the efforts of one teacher! I’ve previously bragged on Leslie, my little sister, being an awesome teacher. You may remember that last winter she became a National Board Certified teacher. It takes going above and beyond in her field to get that certification. It also takes going above and beyond in the class day-after-day and year-after-year. To do that in a school system that is so broke that it actually revoked its own charter, forcing the county schools to accept the city kids into the district, is challenging to say the least. 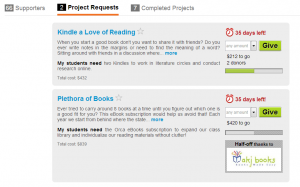 As you can imagine, that doesn’t lend itself to budgets for teachers wanting to do something unique to inspire their students to enjoy reading. But my sister tends to do things a little bit differently anyway. And literacy is an area that she is especially keen on, but she doesn’t just want them to be able to read… she wants them to really enjoy it. That takes a few extra steps! Recently, Leslie posted a simple request to her Facebook page. I’m looking for friends who have ereaders laying around that aren’t using them any more. I’d love to collect some for my fifth graders this fall. Anyone? I saw it and decided to play it forward. So I put basically the same thing up on my status, knowing that I have a lot of geeky friends who like me move to new technology fairly quickly. I offered to pay postage on them too making sure there was no hesitation. The results? We rocked the e-reader drive! A few close friends & family got in touch with my sis about earlier generation kindles or nooks they had gathering dust at home and could send to the class. But when Leslie saw the reactions from some of my farm friends… well she was stunned. 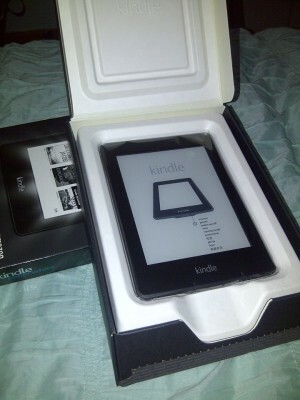 One of my colleagues, Christina, said she had a Kindle gathering dust at home that could be used for the class. Pam, an agnerd from the Texas High Plains, said she no longer had a kindle to donate but she and her husband really enjoy helping schools. She offered to buy a brand new Kindle the class could use. My sister was thrilled! A coworker I have talked to quite a bit but had never met saw the request and immediately offered up her old Nook. Next thing we knew her husband was offering his too since he reads on his tablet now. Eventually she also came up with a computer the class could find useful. For each of the friends offering to help, I was told in a roundabout way that it was no big deal what they were doing and they were really glad to be able to help. For my sister it has resulted in an incredible boost to the back-to-school rush. She’s busily trying to plan out how her reading groups can use the readers and is almost giddy picturing her students picking them up to read something new. And my sister is reeling in joy over having these resources available to her class! I can’t help but wonder whether by posting to my blog whether we can kick up the support for her class another notch. So I am making my offer here too. If you have an ereader you are willing to donate to an elementary school class in Memphis, please let me know. I’ll gladly cover shipping! A few years ago, we found Donor’s Choose. Are you familiar with the website? Well, over the years, she has used it to buy new books for her classes, digital cameras that the students have used in science projects, art supplies and more. The fact that she’s in a school system that serves students who live in high poverty means these kids rarely get the basics met at home but they never get the cool tech extras so many of us take for granted. She has two projects up on the site that she posted months ago. She’s getting into the final weeks so we aren’t sure whether they will get funded. One of them is for Kindles and the other is for an unlimited use subscription to an ebook service for the year. It’s not cheap but it would let the entire grade have access to an entire library. I made a contribution there… really hope it gets fully funded! Come on. Lots of us wish the schools were better. You can help, maybe not every school and every student but you can help my sister’s class. And if something amazing would happen, like we’d get ereaders for all of the kids AND the digital subscription, she took the national boards with a group of friends, all of whom passed. I am sure she will pay it forward. What are teens reading this summer? « Networking at BlogHer ’13 Really Means Lots of Friendly Faces! oh behalf of all the teachers everywhere: THANK YOU! You are welcome Lindsey! Thanks for all you do! Your sister deserves a great deal of praise for all she does for the children. I’ve always thought that if a child can’t read, they’re not going to do well in any of their other subjects either. She is making a huge difference in their lives. I don’t have a Kindle, or I would be happy to donate it. Thanks Deanie. She is doing her part to make a brighter future for sure! And I know looking for these isn’t something everyone has laying around, but it never hurts to ask if someone has something they aren’t using. Seems some of these folks are thrilled to be able to donate something they aren’t using!